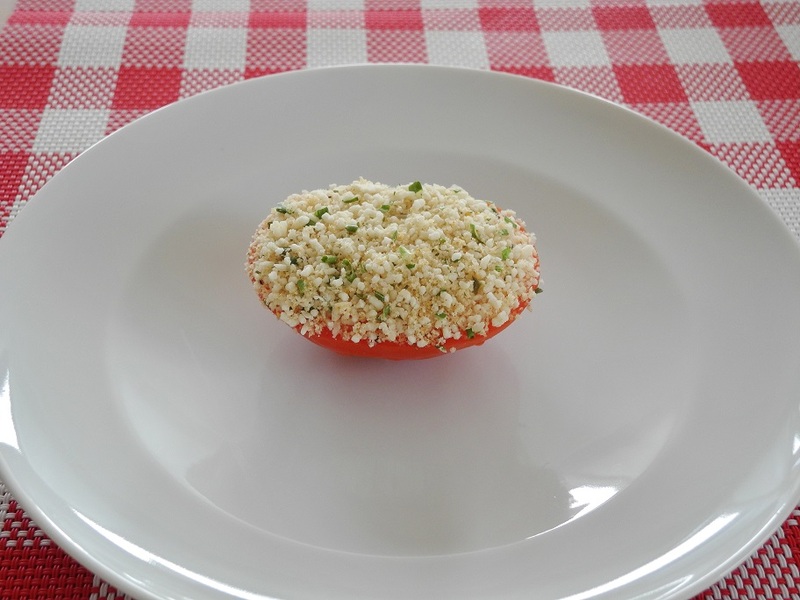 I put this together last week; it’s fast, easy, and non-bake, non-cook, with no raw eggs. It was ready to go in about 20 minutes from start to finish, and is a flexible recipe – you could use any fruit you prefer! Whip the cream and vanilla sugar together until quite stiff. Whip the yogurt into the whipped cream. Wash and de-stem the strawberries; quarter about a third of them and put into a nice bowl to set on the table for toppers (chill until ready to serve). 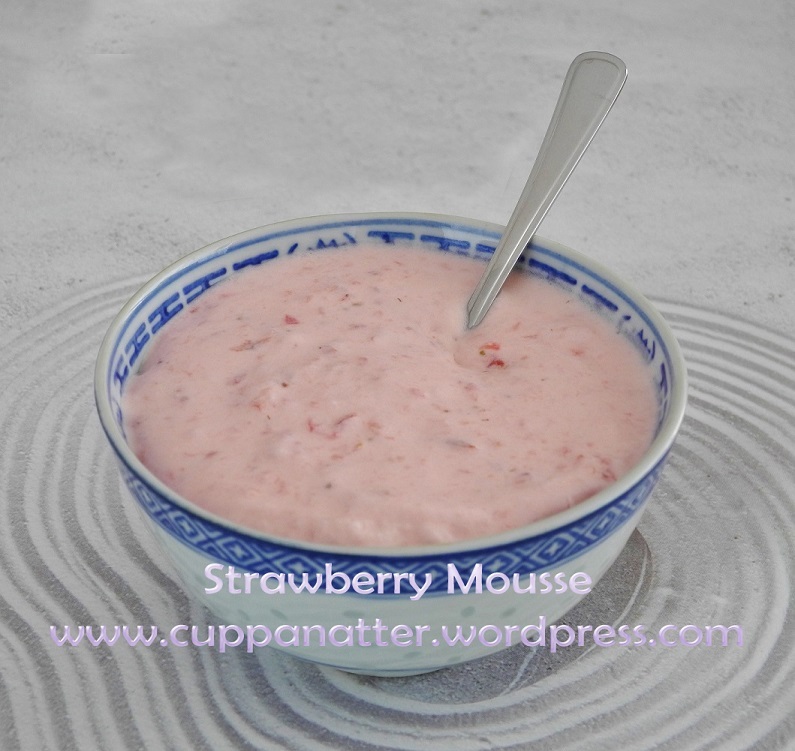 Bung the other strawberries into a blender and puree; add this to the whipped mixture and whip thoroughly until firm. Cover and place in the refrigerator until ready to serve. 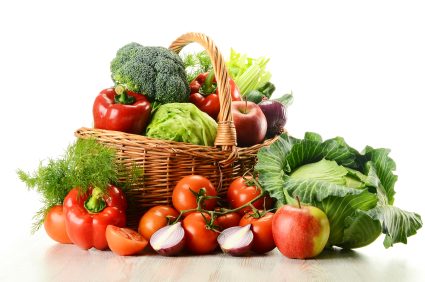 Choose your weapons: A good cutting knife, cutting board, and the right-sized casserole dish; set out a large bowl to toss the cut veggies into (you’ll see why). Toss the vegetables with these powdered soups to coat them thoroughly; doing this ahead of baking time allows the flavours to soak in; you can toss a bit of chives in, but otherwise you won’t need any other spice or flavouring. Set it into the oven and let the flavours marry until time to turn on the heat. Bake at 190°C (375°F) for ~1 hour, checking it the last 10 minutes or so. Preheat your oven to ~200°C (400°F). Spices to taste: I sprinkled in some grill spice, chives and a dash of Parsley. If you wanted, you could also mix in some finely diced onion. Next, slice your tomatoes into rings; for large tomatoes, I cut them in thirds. Hold a slice of tomato over the bowl and, with a spoon, sprinkle the mixture onto the tomato; be generous – stack it up a bit! Lay the slices out separately onto a baking paper-lined baking tray. At this point if you’re making these ahead, set them aside or put them in the fridge until time to bake. Bake them ~10-15 minutes – just long enough for the topping to melt / turn golden brown. Serve hot! These will go well as a side dish for just about anything; if you’re serving a meal that might be a bit dry on its own, these will add a juicy contrast. They would also serve well as an appetizer, though they would be a bit too juicy to serve as finger-food. 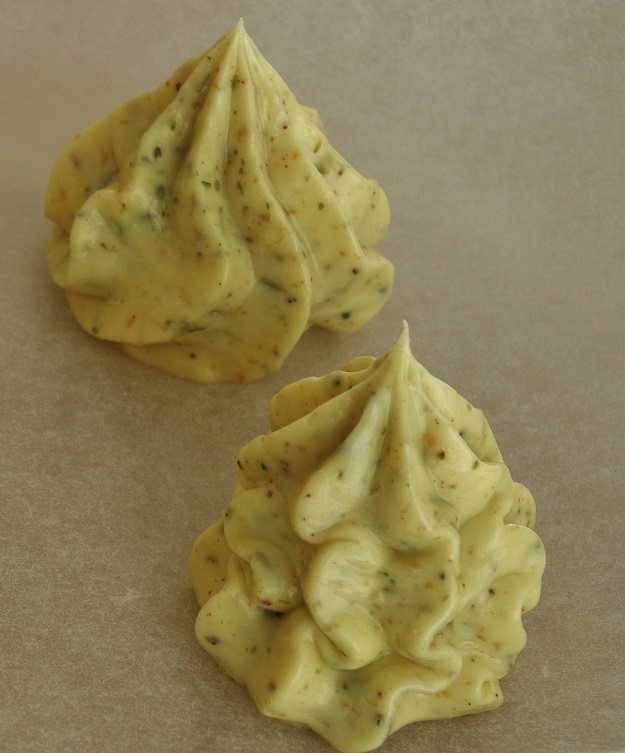 It’s grill season here in Switzerland, and if there’s meat (other than Cervela or Bratwurst) on the menu, I try to have some of this herbed butter on hand. It goes great on corn on the cob, roast vegetables, and just about anything you put on the grill or the stove besides dessert! They make a nice touch to any meal that wants a bit of butter, herbs or Mascarpone on the side. These dollops are easily frozen; they can be used as an easy portion of butter in a frying pan as well – just toss one in, and you’ve got herbed butter melted and ready in no time! Mix together well; I first cut the butter in, then mash it together coarsely with a fork, and then finish it off by whipping it with a blender (mix it in whatever way is easiest and most efficient for you!). Spoon into a pastry bag, or a silicon pastry squeezer (I used one as pictured), and squeeze portion-sized mounds onto baking paper; freeze, single-layered, and then store them in an air-tight container in the freezer until ready to serve. They’ll thaw out readily next to (or on!) grilled foods. This recipe was originally on Betty Crocker; I have adapted it for using fresh ingredients only; unnecessary boxed brand-named ingredients are one of my pet peeves with said website, and any chance I get to make a recipe from there, I will make it from scratch! So here it is, adapted for every kitchen. Heat oven to 400°F (200°C). Either rub 6 regular-size muffin cups with butter or oil, or use muffin papers. Boil and grate potatoes, then place in medium bowl. Stir in crumbled bacon. Divide mixture evenly among muffin cups. Bake about 15 minutes or until starting to turn golden brown on edges. Reduce oven temperature to 350°F (180°C). Crack 1 egg over each muffin cup. 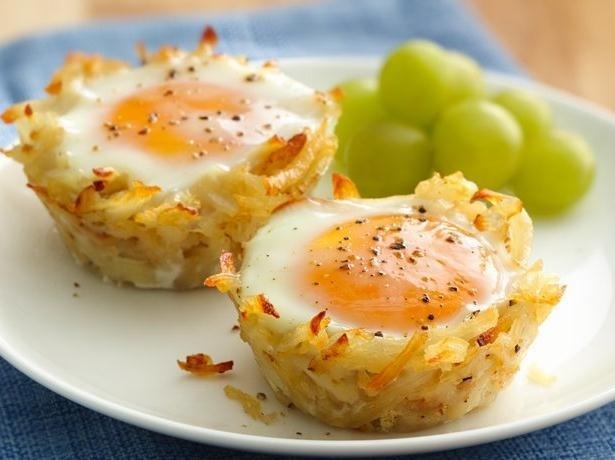 Sprinkle with salt and pepper and bake about 18-20 minutes or until egg whites and yolks are firm, not runny. Cool 5 minutes before removing from muffin cups, and serve hot.